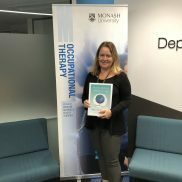 Dr. Helen Bourke-Taylor is an occupational therapist and Associate Professor in the Occupational Therapy program at Monash University in Australia. 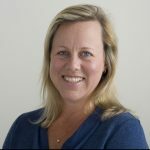 Her professional and research interests include a focus on participation and education issues for children and young people with disabilities, as well as supports for their parents (particularly mothers), families and carers. Helen is co-author of the evidence informed Healthy Mothers Healthy Families workshop intervention which aims to empower women with additional family care responsibilities, towards better health and wellbeing. Helen’s assessment tools include the Health Promoting Activities Scale (see resource section for access to this tool), the Child’s Challenging Behaviour Scale and the Assistance to Participate Scale. What value does the framework add in your practice? Helen believes that the Do Live Well framework is closely aligned with the health education and health promotion philosophy and intent of the Healthy Mothers – Healthy Families program. Mothers of children with a disability are known to have less time for their own self care, and are at increased risk for stress and mental health issues. Traditional health promotion encourages a disciplined approach to better health choices (for example, more exercise and less caffeine), however, an activity based approach brings the joy, social connection and meaning back into the lives of mothers/carers who have less time for themselves. We need to help mothers identify meaningful, self selected occupation that aligns with better health and wellbeing. Can you provide an example of how you could incorporate DLW framework into your work with mothers of children with a disability? The Do live Well framework provides workshop leaders with evidence-based concepts and a universal language that therapists can use with their clients. Alignment between Do Live Well and Healthy Mothers Healthy Families is a great example of the power of bringing health promoting occupation back into the daily life of mothers who have long haul care responsibilities. See the Health Promoting Activities Scale booklet for an example of how goals setting to live well and experience health enhancing activity drives healthy lifestyle design in the Healthy Mothers Healthy Families program.